If you’re on a carrier that supports it, Wi-Fi calling is a great feature to have. It will allow your smartphone to use the best connection in your house to make and receive calls and text messages. It also allows for higher quality audio, and it’s perfect if you don’t get good signal in your house. Pull down the notification shade and long-press the Wi-Fi icon to enter Wi-Fi settings. Scroll to the bottom and select “Wi-Fi Preferences”. 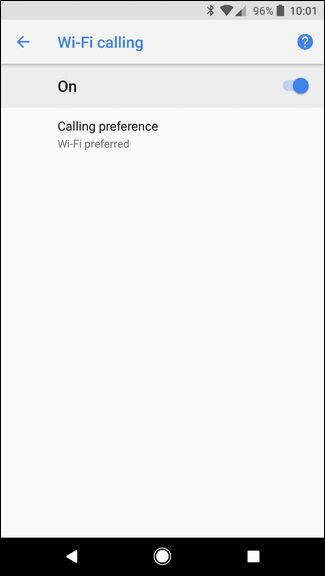 Select Wi-Fi Calling and flip the switch to “On”. While this has been a feature found on Android for many years, it’s still shocking how many people don’t know it exists. This is in part due to slow carrier adoption, but also just a general lack of coverage for the feature and its usefulness. T-Mobile is probably the biggest proponent of Wi-Fi calling at this point, though the four major carriers—Sprint, T-Mobile, AT&T, and Verizon—all support the feature. Unfortunately, if you’re saving money by using an MVNO, you likely won’t have it as an option. That’s a bummer. Most modern Android phones should support Wi-Fi calling, but it can be hit and miss. For example, while the Galaxy S7 generally offers support for Wi-Fi calling, my international version of the phone doesn’t offer the feature. Basically, it has to be supported by both the phone and the carrier. Ergo, if you go digging around and try to find the setting we’re going to talk about below and it’s not there, either your carrier doesn’t offer it, or it’s not available on your particular phone. Even if you’re using a phone and carrier combo that supports Wi-Fi Calling, it’s probably not enabled by default. To turn it on, you’ll need to jump into the Settings menu. 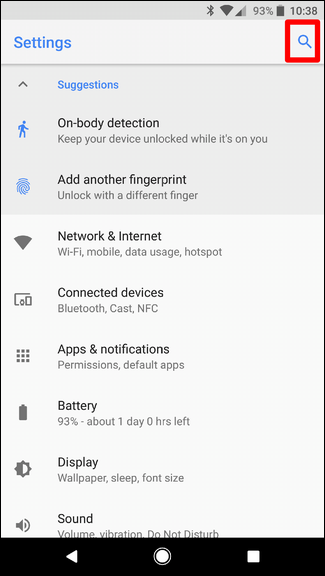 I’m using a Google Pixel running Android 8.0 (Oreo) here, so the process may vary slightly on your phone. 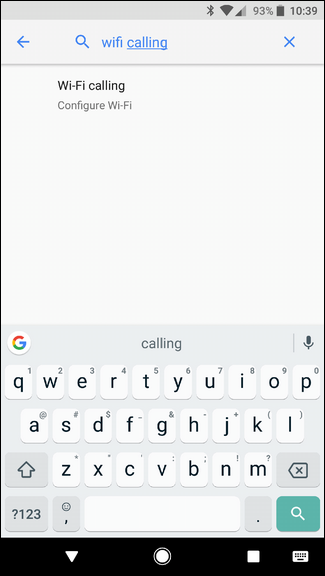 While you can go through all the steps to tap your way into the Wi-Fi Calling menu (which you’ll find instructions for in the “Just the Steps” box to the right), the easiest thing to do is just search for it. 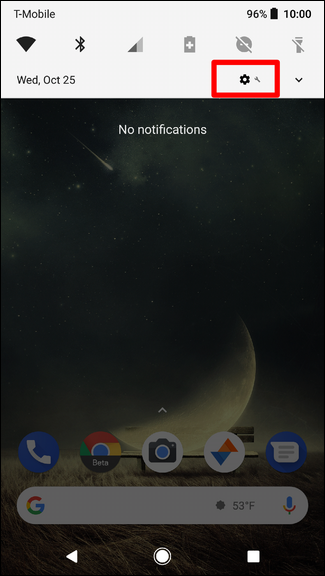 Pull down the notification shade and tap the gear icon to get started. From there, tap the magnifying glass, then type “wifi calling.” If it’s available in your situation, it should show up here. 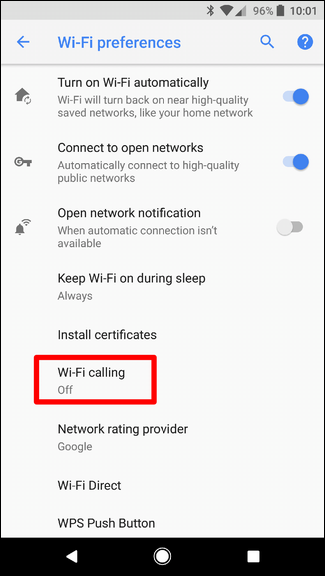 In my scenario, Android didn’t throw me directly into the Wi-FI Calling menu, but rather into the advanced section of Wi-Fi settings, where Wi-Fi Calling is found. Go ahead and tap the Wi-Fi Calling option to jump into its section of the menu. Boom, there you go—slide the toggle to turn it. 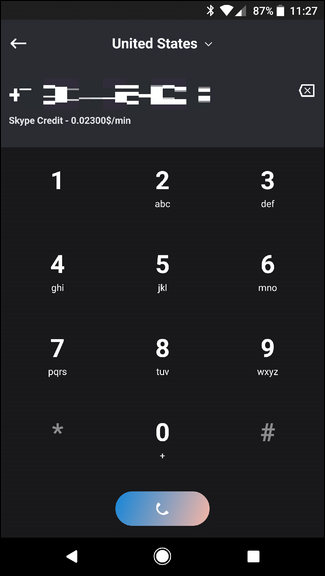 You can also select whether you want the phone to prefer WI-Fi networks or mobile networks for calls. Whenever it has both, it will use your preferred option, then seamlessly switch to the other when one becomes unavailable. Basically, any of those apps will let you make calls over Wi-Fi, but they won’t use your actual phone number, nor will they call out to a traditional phone in most cases. Instead, you’ll actually place calls from account to account; for example, if you use Facebook Messenger, you actually just “call” the person on their Facebook account instead of putting in a phone number. 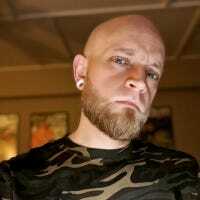 The same goes for free Skype accounts, though you can pay money to call normal phone numbers. 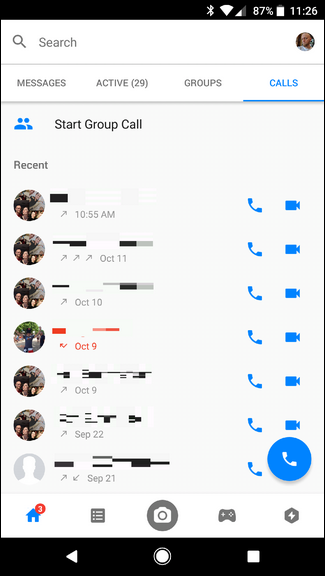 Google Hangouts and Voice are other exceptions—they essentially work together to make calls. You’ll need a Google Voice number, as well as the Hangouts Dialer to make calls, in which case you should be able to call out to any traditional phone number. The problem will come when you want to receive calls using these tools—you’ll have to do quite a bit of extra setup for that. Truth be told, Facebook Messenger is probably the best way to go, assuming the person you’re trying to chat is also on Facebook (and your friends list). It’s very easy to use and offers good call quality. It’s also worth noting that these services will also work with mobile data, so you don’t have to be on Wi-Fi to use them. That’s cool. Wi-FI Calling is a very cool service, and it’s definitely something you should enable if your carrier and phone support it. You’ll get higher quality calls and essentially no “dead zones” where calls will fall off or mute.